Plenty of specialized companies out there sell PCs with Linux, but Dell is one of the very few mainstream contenders to have done so over the years. After some spotty initial offerings, it's taken a different approach with its latest Linux PC. Rather than try to sell Linux hardware to the masses, which the company has said typically requires support, it's focusing instead on developers, a savvy group that tends to need less help. 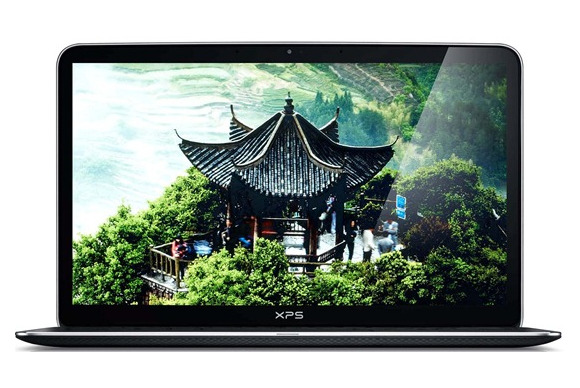 That's the plan behind the $1,549 Dell XPS 13 Developer Edition, an ultrabook that was born via the company's “Project Sputnik” skunkworks initiative last year combining Ubuntu Linux 12.04 Long Term Support Precise Pangolin and the company's existing XPS 13 laptop. What started out as a pilot project turned into a real commercial product last fall, and earlier this year it got a nice upgrade. We got our hands on one recently and put this latest model through its paces. Visually, the Dell XPS 13 Developer Edition is a thing of beauty. It's thin, sleek, and lightweight, weighing in at just under 3 pounds. With a top cover precision-cut from a single block of aluminum, the silver-toned machine features a carbon-fiber composite base surrounded with a ring of matching anodized aluminum. A comfortable magnesium palm rest features soft-touch paint. Powering the Linux ultrabook is a third-generation Intel Core i7 processor with Intel HD Graphics 4000, 8GB dual channel DDR3L RAM, and a 256GB SSD drive. That's a nice setup for the kinds of compute-intensive tasks developers spend much of their time on, including repeated cycles of coding, compiling, testing, and debugging. 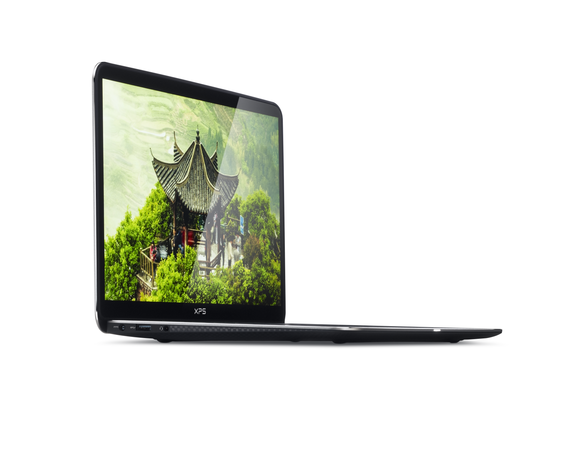 The XPS 13 Developer Edition we tested has a third-generation Intel Core i7 processor with Intel HD Graphics 4000, 8GB dual channel DDR3L RAM, and a 256GB SSD drive. Developers will also often have many windows open, so the fact that this machine sports a full 8GB of RAM rather than the standard XPS 13's starting point of 4GB eases the burden by minimizing swapping to disk, thereby improving overall responsiveness. The 13.3-inch edge-to-edge glossy display, meanwhile, is constructed from hardened Gorilla Glass and offers full High Definition WLED, 1080p resolution, and a full 178° viewing angle. So compact is the PC's design, however, that it actually feels a lot more like an 11-inch laptop in overall size. The backlit, full-sized keyboard is another visually appealing element, though we found it a bit too light to the touch. That's personal preference, of course. Much more striking, though, was the fact that it featured a Windows superkey rather than an Ubuntu one. While it's not a performance issue, the presence of a Windows-specific key on this device underscores the fact that this is still essentially Dell's standard XPS 13 with Ubuntu simply preinstalled. Developers wouldn't have any trouble doing that installation themselves, so we were alert to other distinguishing features that would set this device apart for this Linux-minded crowd. One such feature is the XPS 13 Developer Edition's full year of included Dell ProSupport and onsite service after remote diagnostics. Also included on the device, meanwhile, are two USB 3.0 ports (one with PowerShare), a mini DisplayPort, and a headset jack. No mouse was included, so we added our own. Like many Linux machines, this one featured a nice, snappy startup; it can boot from cold in as little as 13.5 seconds, Dell says. We did encounter an issue by which the installer crashed the first time around, but on the second attempt it worked like a charm. WiFi connected on the first try, so we got to work installing some extras, including Chrome, GIMP, and Shutter for taking screenshots. 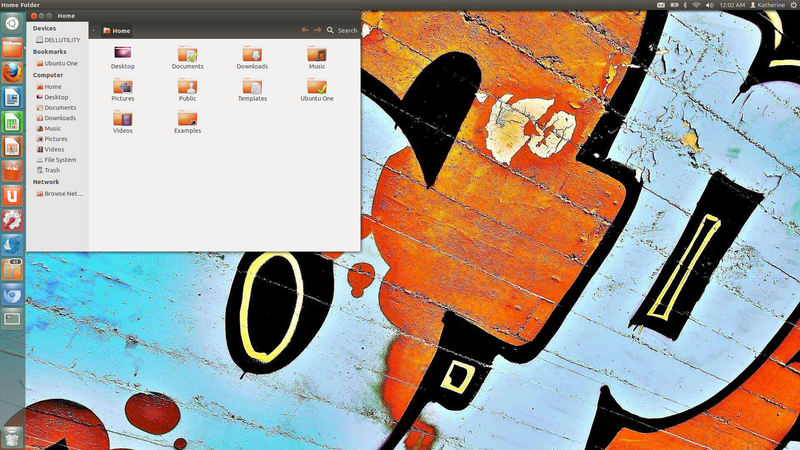 Featuring the Unity desktop, Ubuntu 12.04 offers a user-friendly Linux experience. 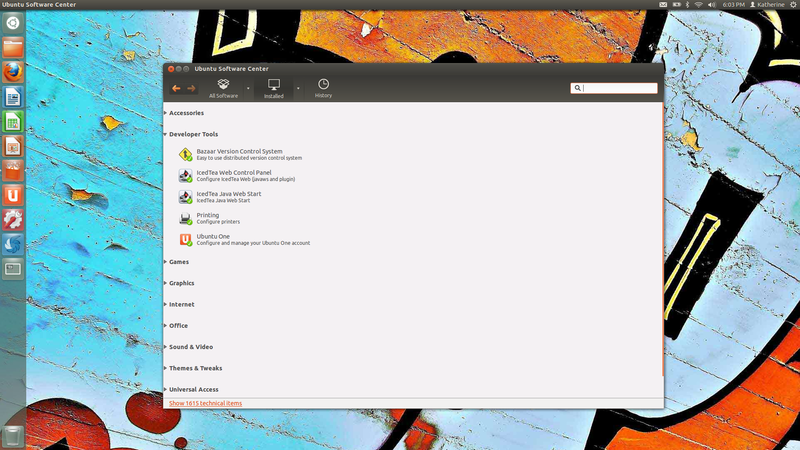 We were both already familiar with Ubuntu and the Unity desktop, so that part was immediately comfortable. Since this machine is aimed at developers, however, we were particularly interested to see what developer tools were included. Those available upon startup were the Bazaar version control system, the IcedTea Web Control Panel, IcedTea Java Web Start, a printing configuration tool, and the UbuntuOne cloud service. Handy for our review-writing purposes was that LibreOffice was installed and ready to go. Even more joy-inspiring was the absence of the vast array of OEM bloatware you'll typically find on most Windows machines. We were surprised, however, to find no sign of two particular developer tools Dell has been talking about since the Sputnik project began. Namely, neither the cloud launcher nor the profile tool that have figured so prominently in the Developer Edition plans were evident on the laptop. It turns out both are still essentially in alpha form and currently hosted on GitHub. Dell's widely anticipated cloud launcher and profile tool are not yet included on the XPS 13 Developer Edition. Some initial work has been done on the profile tool, but Dell ended up taking a break to focus on launching the machine, it said. “We have just started up again,” the briefing notes explained. In the meantime, the XPS 13 Developer Edition comes with VirtualBox preinstalled as well as Juju, a transitional package for Ruby 1.8, Python, and more. Is there a need for a machine aimed specifically at Linux developers? We're not so sure. Most developers are more than capable of stripping any machine of its original OS and installing what they want themselves. That said, however, this is a decent start. With its i7 processor and 8GB of RAM, it's equipped to handle most of what developers will throw at it. In fact, the BIOS supports Intel-VT “bare-metal” hypervisor virtualization, lending itself to setting up virtual machine instances that run at near hardware spec performance levels, such as using Linux’s 64-bit kernel built-in KVM Type 1 hypervisor. Typically programmers will set up their own “test beds” as virtual machines. Using Btrfs, for example, programmers can “snapshot” the virtual machine, make testing programmatic changes to the configuration, and if need be “roll-back” to the snapshot taken beforehand. Meanwhile, Dell clearly knows that developers have their own unique preferences. The tool selection provided should be considered a starting point but not complete for any specific purpose. No two programmers have the same set of use cases and needs. Instead, what they look for are reliability and performance metrics. After all, many programmers write with operating-system-agnostic tools that can be used on any hardware platform. The XPS 13 Developer Edition has competition: Lenovo’s ThinkPad, Apple’s MacBook Retina or Air, or Google's Chromebook Pixel. These machines aren't customized for Linux work, but they're technically superior in construction and software certification, and it's nothing for developers to strip what's there and install any operating system they want. It will be interesting, however, to revisit this device once it's fully loaded with all the developer tools Dell has planned.